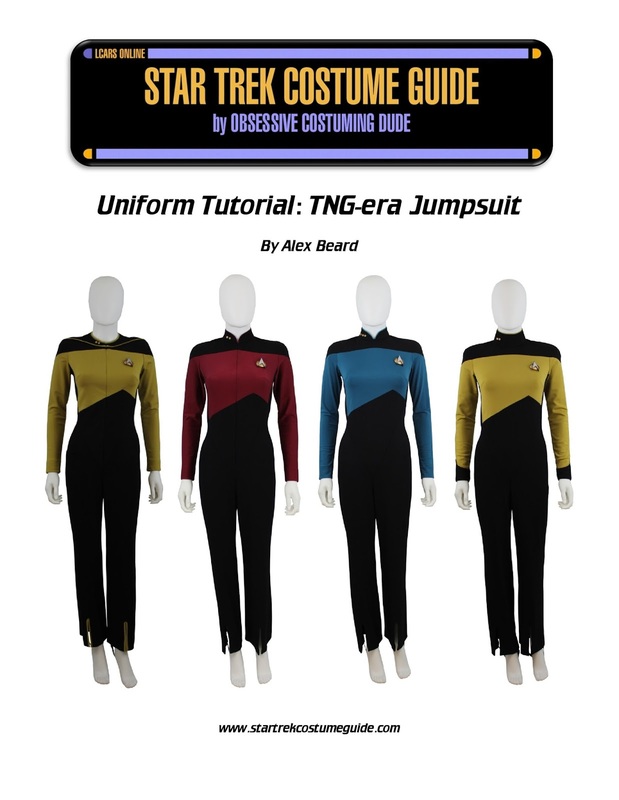 Star Trek Costume Guide: TNG jumpsuit tutorial added! My new TNG jumpsuit sewing tutorial is now available for online viewing! Check it out here, or simply click the "TNG" tab above and select the TNG jumpsuit! Although intended for use with the Bad Wolf Costumes women's TNG jumpsuit pattern (and upcoming men's pattern), it can be adapted for use with other existing TNG jumpsuit patterns as well. Sign up for my "Costume Guide" e-mail newsletter (upper right corner) and be the first to hear about new sewing patterns, tutorials, videos, etc., plus save 10% on all Bad Wolf Costumes sewing patterns and pattern bundles!